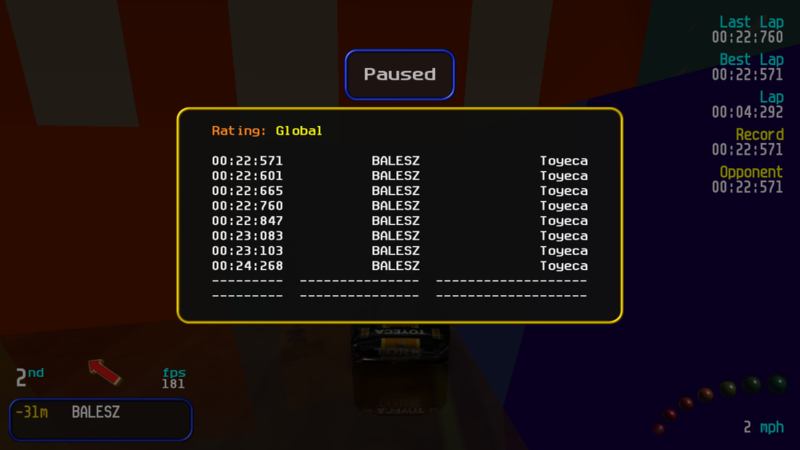 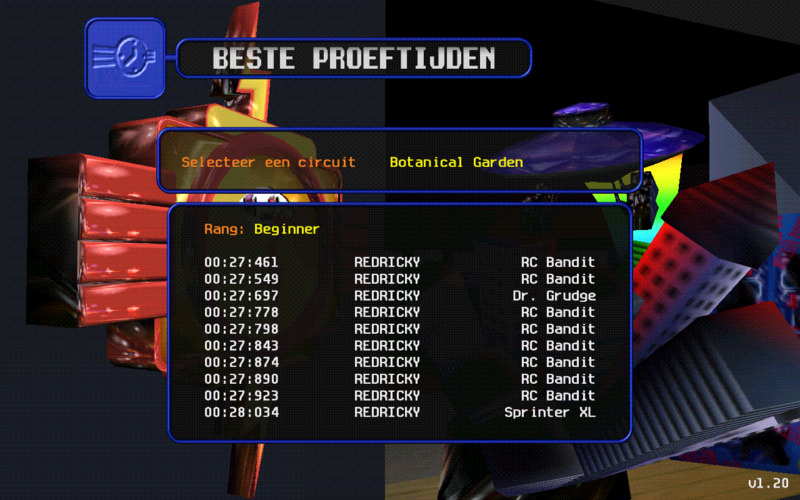 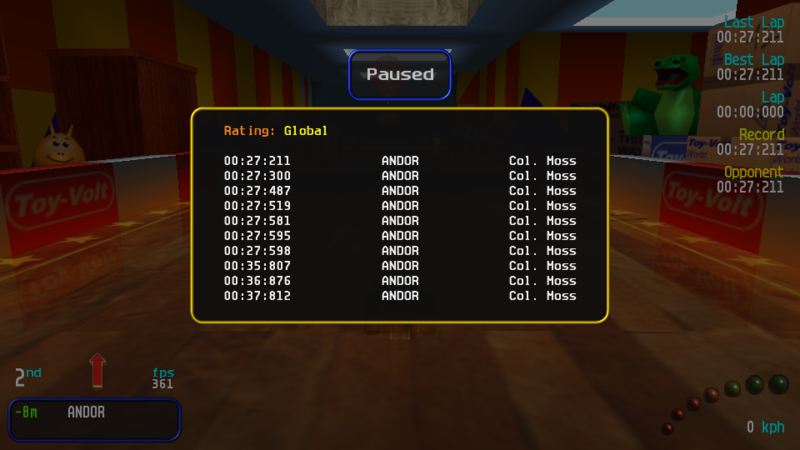 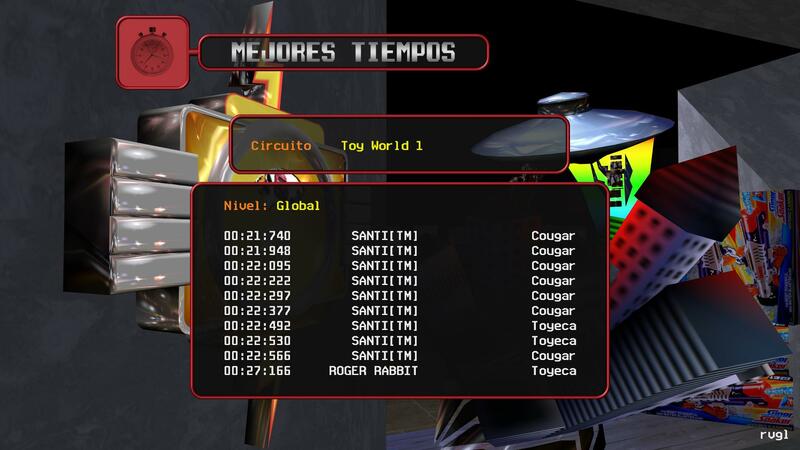 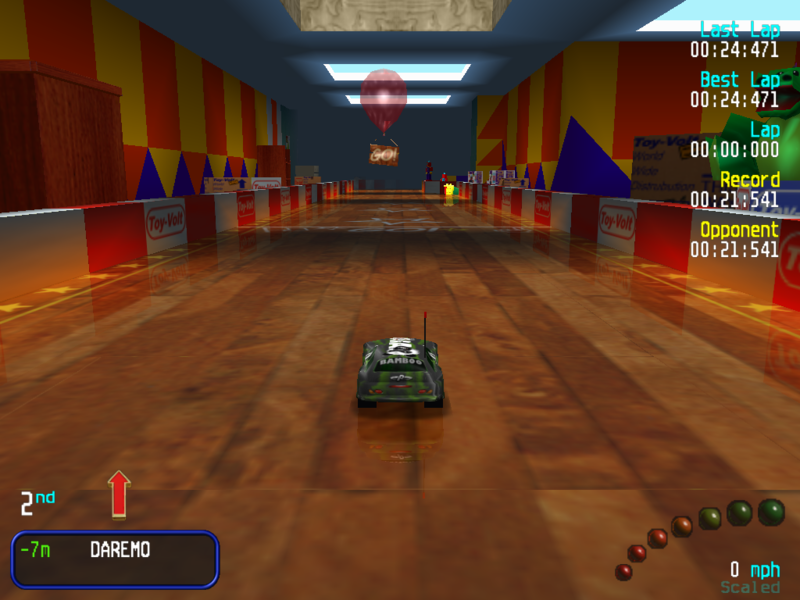 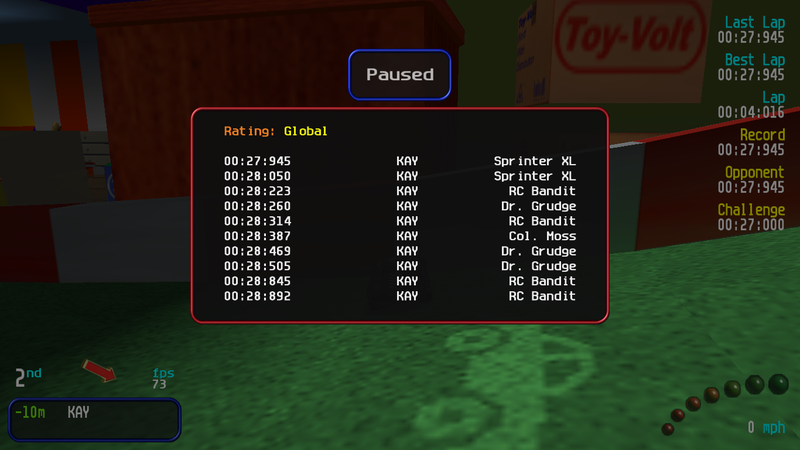 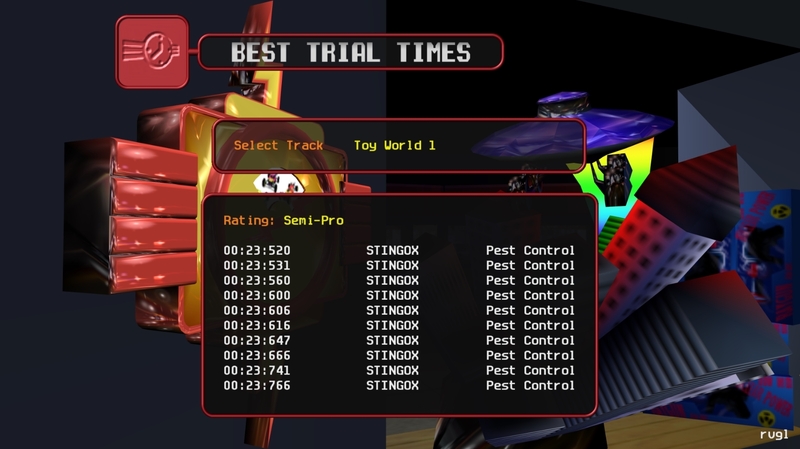 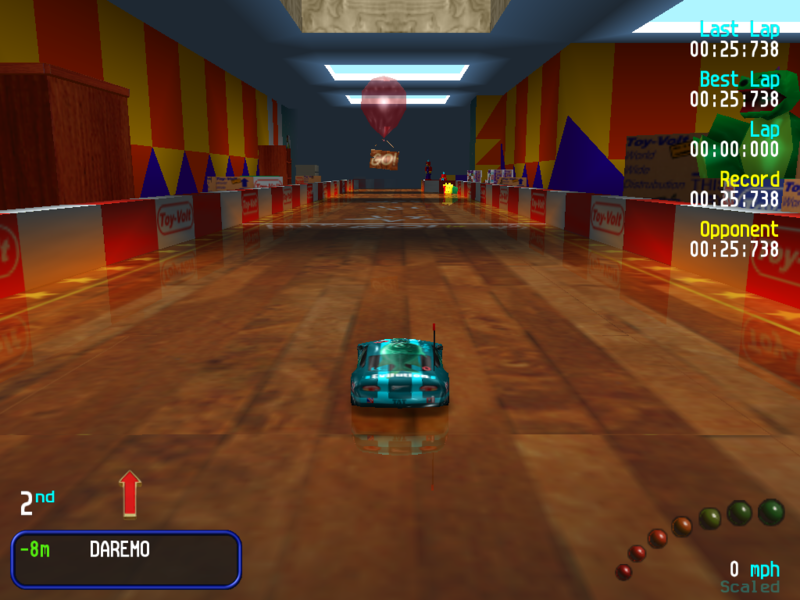 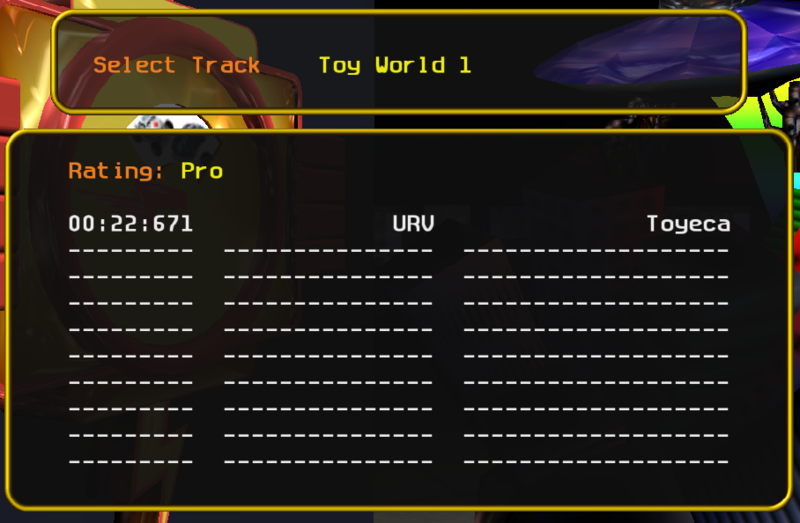 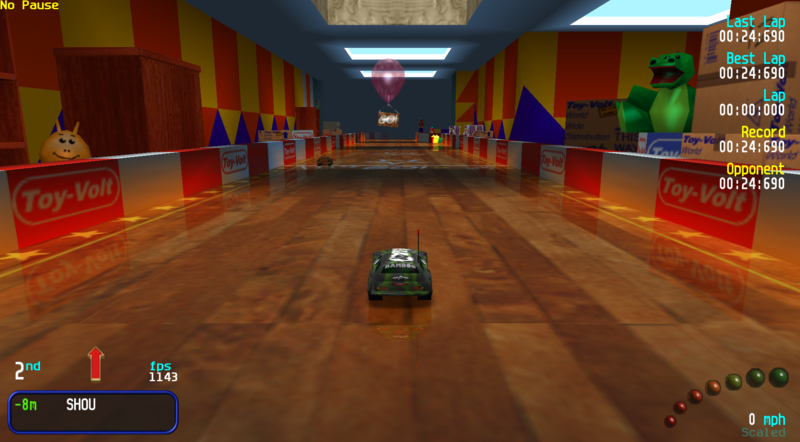 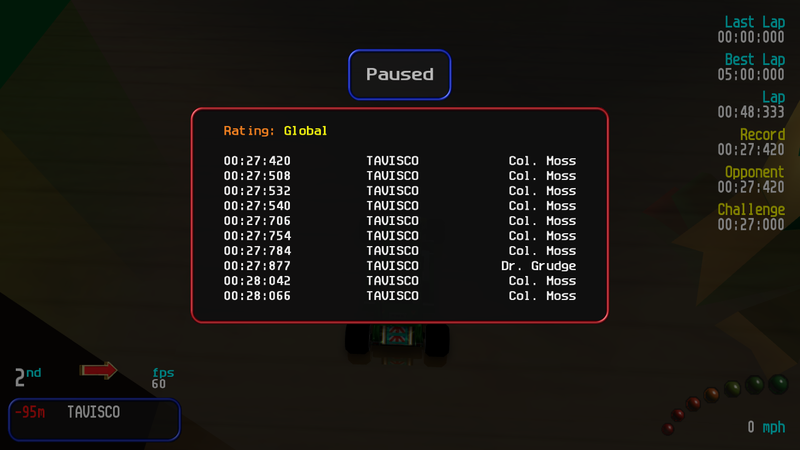 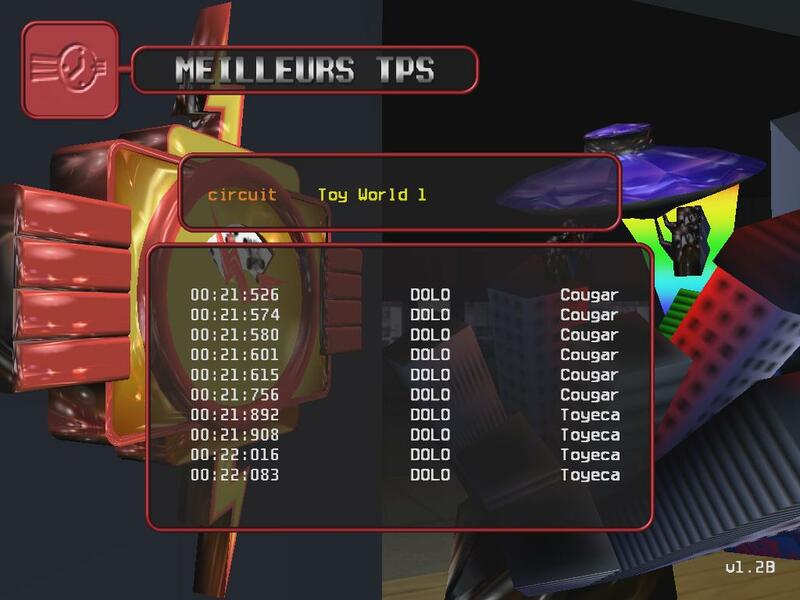 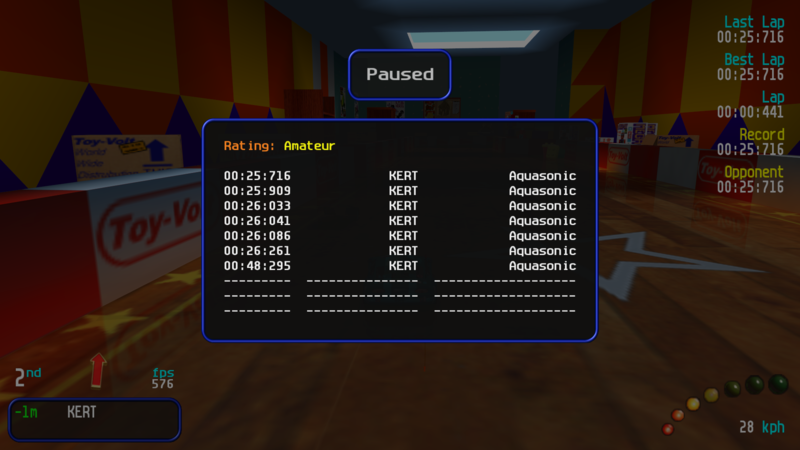 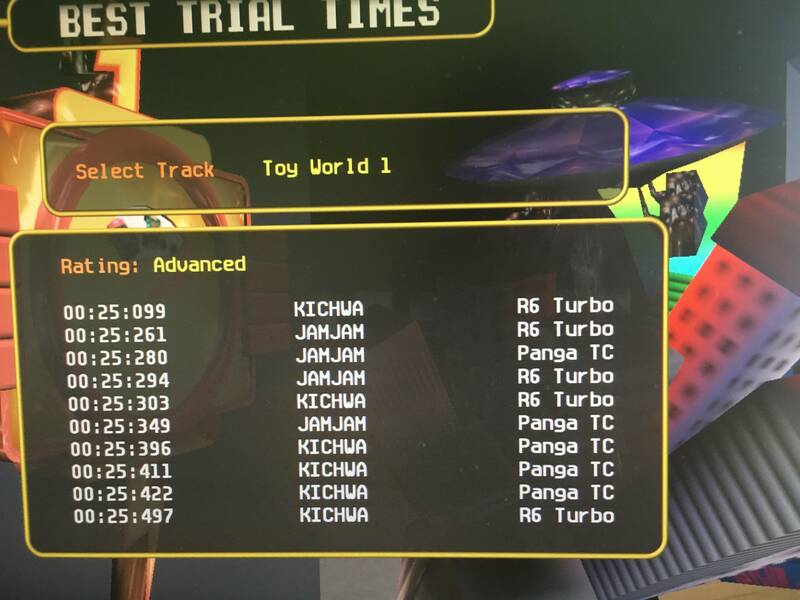 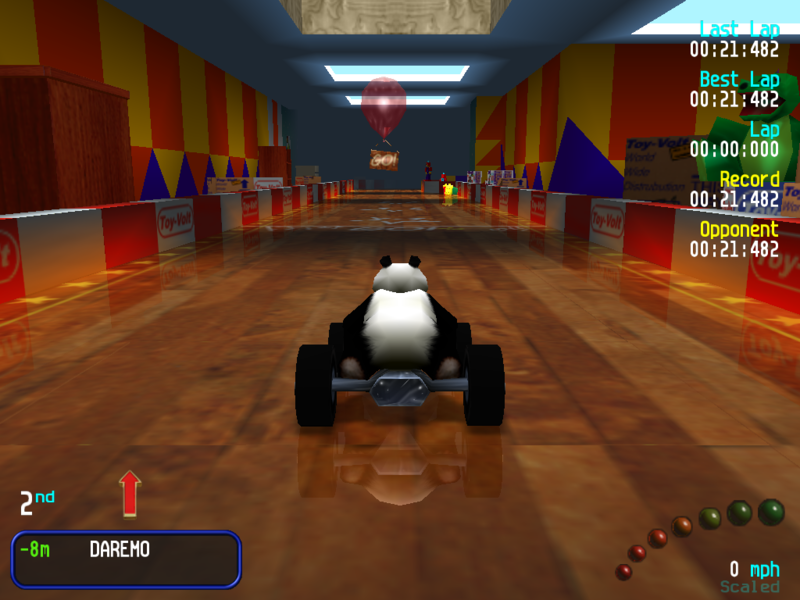 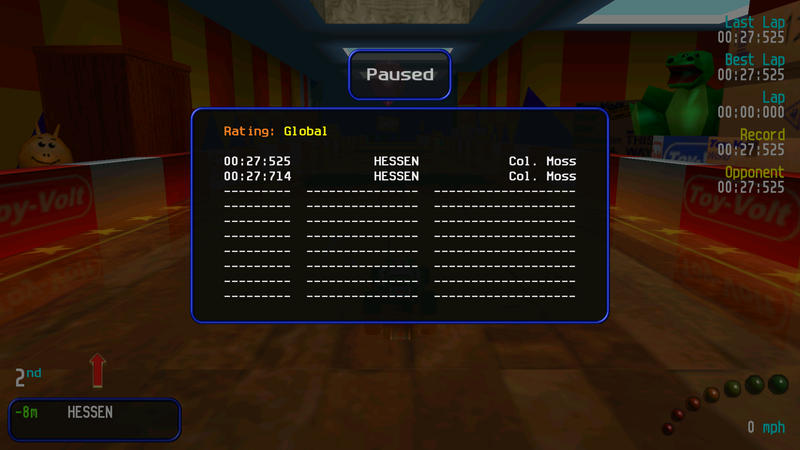 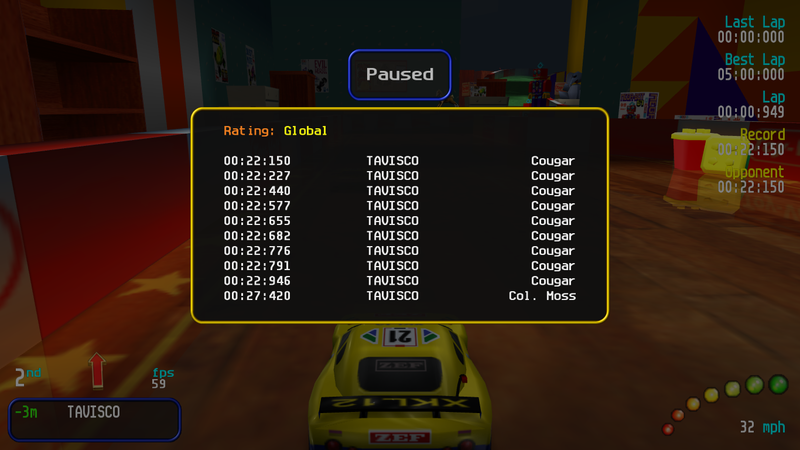 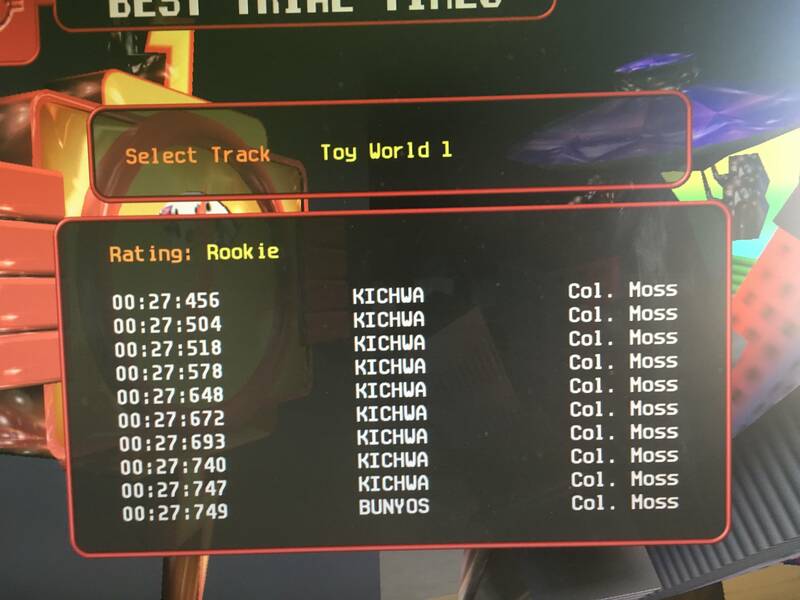 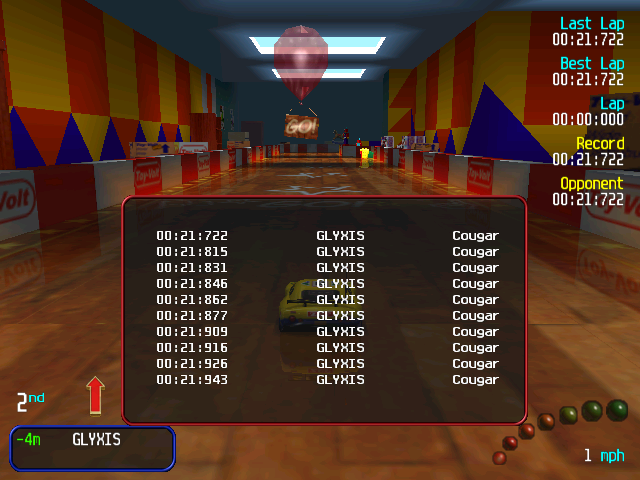 Here you can post your records what was made on Toy World 1 track with stock cars (all available stocks without CARNIVAL or URCO cheat) and the Dreamcast&I/O cars (all the cars which ones are from the Dreamcast version of Re-Volt and Re-Volt I/O cars which ones you can find on the site). 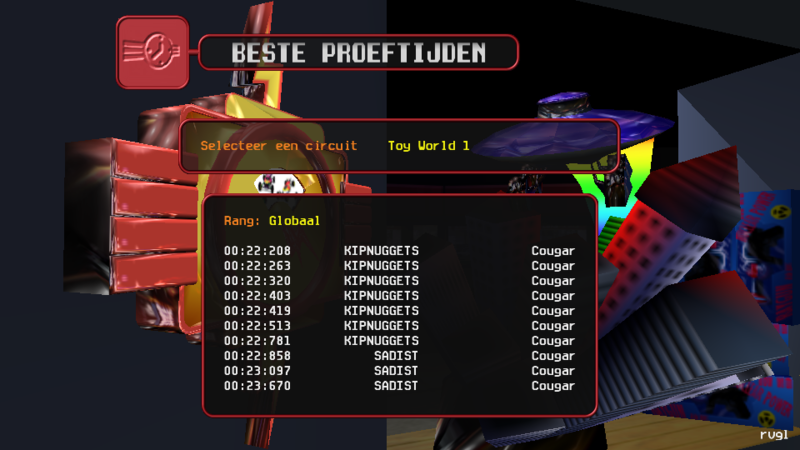 Last edited by Kipy on Thu Apr 18, 2019 10:17 pm, edited 22 times in total. 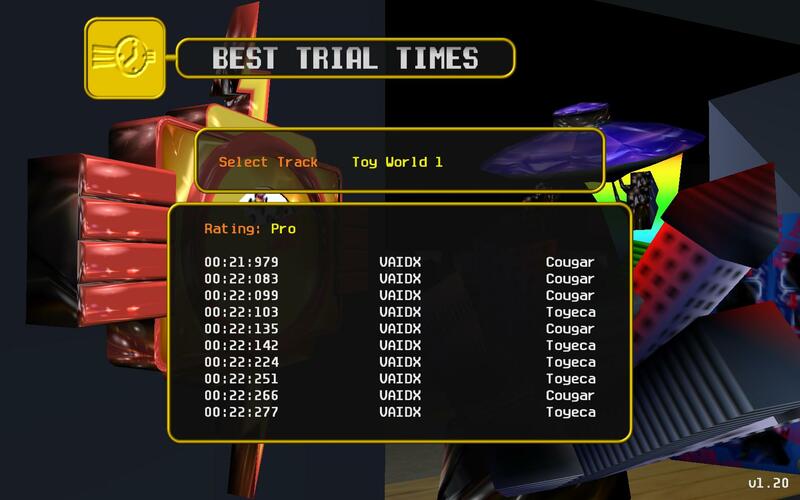 Here my current Amateur besttime. 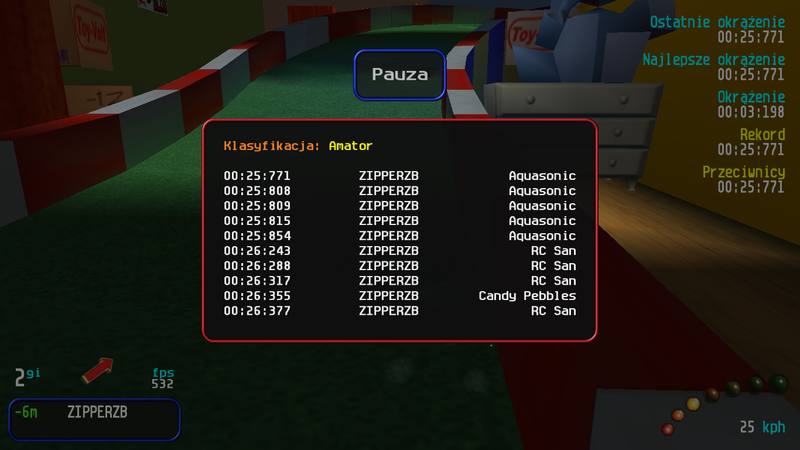 Last edited by ZipperZbieracz on Thu Mar 28, 2019 10:52 am, edited 1 time in total.